Need more information about booking Home 7645596 ? The Woodstock Townhouse is a stunning four bedroom house in the centre of Woodstock sleeping up to eight people and one of the jewels in the Short Let Space portfolio. The Woodstock Townhouse is a newly built house, equipped and furnished to a very high standard. This gorgeous holiday property is just a few minutes walk to Blenheim Palace, 15 minutes to Oxford city and on the edge of The Cotswolds. Oxford Parkway railway station is under ten minutes by car with direct services to Bicester Village and central London (50 minutes into Marylebone). The property offers an ideal base whether you are staying a weekend, a week or several months. The front of the property faces the main Oxford road, but the windows have excellent double glazing and sound proofing. The rear of the property faces on to the quiet residential development of Ashford Close. The property is accessed through a small private courtyard at the rear of the property. The ground floor comprises of kitchen, dining room, living room and WC. The kitchen is fully equipped with top of the range Miele appliances including dishwasher, washing machine and tumble dryer. There is a Bosch microwave, coffee maker and fridge-freezer. The dining room is furnished with a large wooden dining table with seating for eight guests. The living room is tastefully furnished with L-shaped sofa, easy chair and flat screen TV. Bedroom one is the master bedroom with queen size double bed, walk-in dressing room and large en-suite bathroom with walk in shower, bath and WC. Bedroom two has two 90cm single beds and is en-suite with walk-in shower and WC. Bedroom three has a standard double bed with chest of drawers, dressing chair and wardrobe. Bedroom four has a standard double bed, dressing table and chest of drawers. Bathroom with bath, WC and walk-in shower. There is a small private courtyard at the rear of the property and private parking for up to two cars. The town of Woodstock boasts a great number of excellent pubs and restaurants and Blenheim Palace and gardens are just a short walk. Between April and September, there is a minimum six night stay. Shorter stays may be available inbetween bookings. 10% discount applies to party size of six or less when using three of the four available rooms. This House has 4 bedrooms, 4 bathrooms and sleeps 8. It’s been listed on Holiday Lettings since 06 Sep 2016. 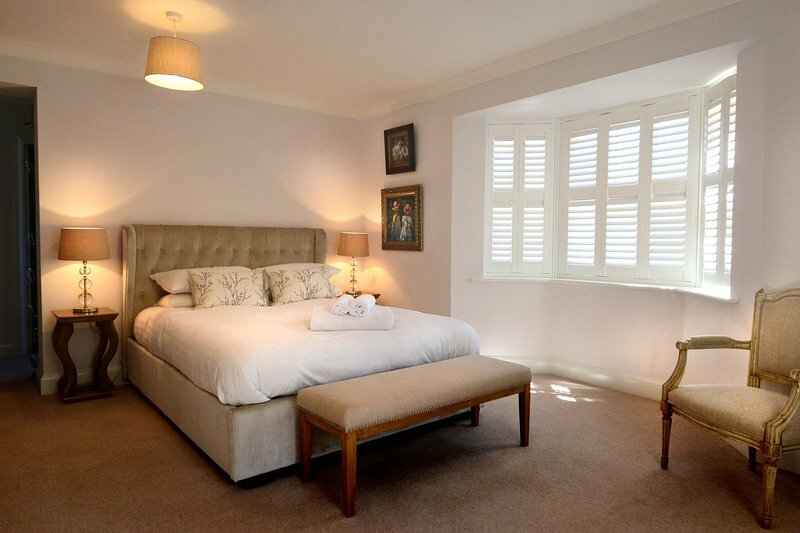 Located in Oxfordshire, it has 1 review with an overall rating of 4. The average weekly rate varies from £1763 to £2013.